Stamp a Blessing: Stand Out Stampers Call: Only 8 days! Stand Out Stampers Call: Only 8 days! My business is growing and I truly need some cool stampers by my side. Stampers that love this art, are eager to keep learning more cool techniques every day and that want to expand with me blessing our community. Are you a Stand Out Stamper? 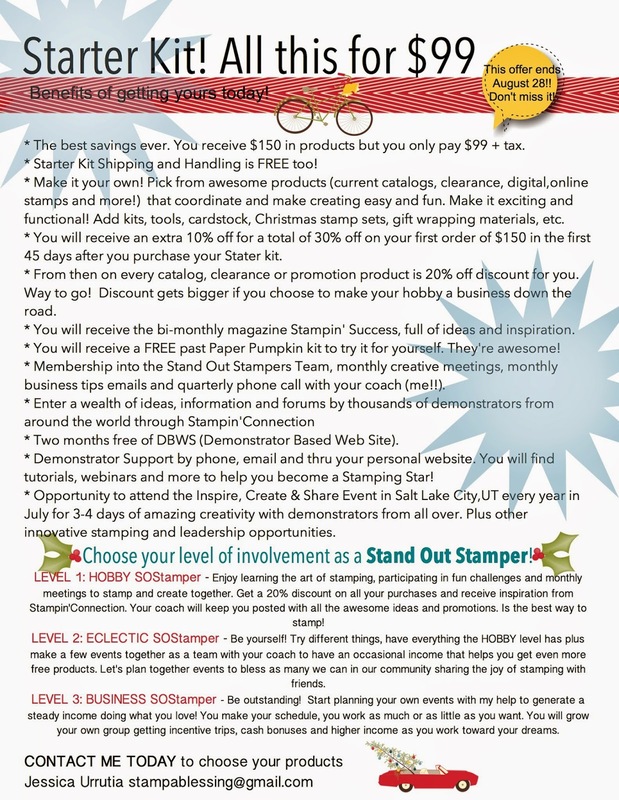 Starting tomorrow August 21st to 28th Stampin'Up! is giving even more for the Starter Kit! NOW you will get to pick $150 In products, that is $25 more in fun awesome stamping tools, stamps or whatever you want. Want to check everything you receive when you purchase this Starter Kit. Read below or click on the bottom to see or print a PDF. Become a Stand Out Stamper! My Pumpkin Challenge: I think I like orange?